How Long has TV Got Left? As traditional TV methods continue to be challenged, are we looking at the end of the television? The television landscape has changed significantly over the last 10 years and some would argue the future is “Over The Top Media Services” (OTT) which are steadily becoming the go-to source of information and entertainment for younger audiences. 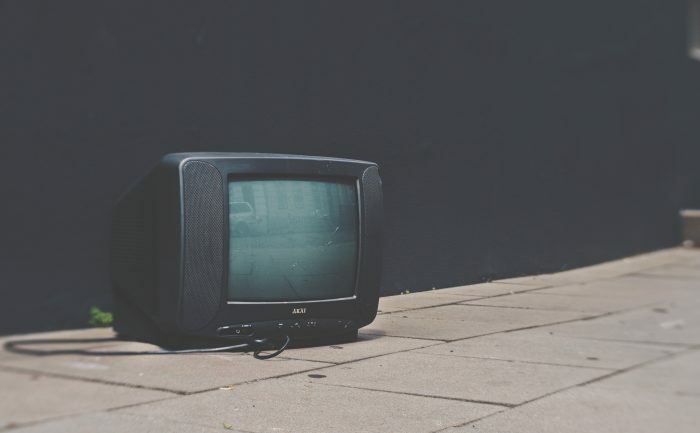 The traditional television advertisements are still the most popular mass media and advertising channel but for how long? To get a better understanding of how this impacts media sources and outputs, one only has to look at how long they spend in front of a TV set and what programs they interact with, whether it is movies, sitcoms, news etc. Not too long ago, it would have been easier to answer as TV was the go-to means of entertainment and information therefore, users would spend a greater deal of time engaging whether it be watching DVDs & Blue Rays and/or additional TV station available, however, today, it’s not so simple. DVDs & the Blue Ray-era appears to be over as the television faces competition from a wide-range of OTT digital services such as Netflix and Amazon Prime Video which can also be streamed across more mobile devices which is handy for those on the go. While mobile devices back then were viewed as more initially as supplementary functional devices for means outside of prime entertainment, they are now viewed as direct adversaries and are increasingly chipping away at TV’s engagement, reducing the likelihood for traditional TV engagement. With Freeview becoming more popular in the UK with all new TVs coming with it as standard, paid TV packages are taking a back seat in many homes due to additional cost for similar services, while the need for more data-based services are on the rise such as Broadband and mobile data plans (Deloitte). In the USA according to eMarketer data, the number of paid TV services has increased and is expected to reach 33 million by the end of 2018 (emarketer.com) and this is expected to be a similar trend in the UK. As consumers now have viable alternatives for means of entertainment it is easy to see how the lack of interest in TV offerings coupled with increasing costs has resulted in users spending more time on mediums that provide entertainment for them such as OTT alternatives. The most utilised OTT video-based service is Netflix with some 55% of Internet (emarketer.com) users videos watch on the platform, while other hosts offerings similar packages are less popular such as Amazon Prime Video. Deloitte surveyed OTT users and discovered that some of the main appeals for audiences were the ability to watch content anytime (73% of subscribers), the ability to watch content anywhere (62%), a lack of commercials (67%) and the ability to watch on multiple devices (49%). Consumers are not just turning to OTT services because of price but mainly rather the number of qualities about these services that they highly prize. Content viewing behaviour is important to keep in mind in particular from the research indicates that different generations are now consuming content in very different ways. Ultimately while the share of paid TV is declining the drop is not damming, there is still the desire to pay for additional content which will require users not to search. The rise in OTT services is something to take advantage due to the growing audience especially from a marketing perspective.